Sunderland went from flirting with relegation at the start of 2013 to near certainties for the drop come the end of March. 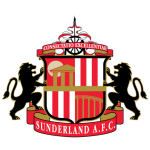 A gamble was made in sacking the well respected Martin O’Neill, replacing him with the unpredictable and enigmatic Paolo Di Canio, a gamble that paid dividends as Sunderland won two and drew two of their remaining seven games which was just enough to avoid the drop. Di Canio will know that mere survival will not be enough this time around for supporters who demand success year after year. 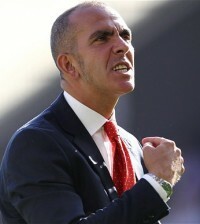 Despite having only 18 months managerial experience, and that at lowly Swindon Town, Di Canio managed to rally his Sunderland troops and win 2 of his first three games, one of those a 3-0 victory at bitter rivals Newcastle, which ultimately secured Sunderland’s top flight status. However, the honeymoon period is well and truly over for Di Canio who, with several years Premier League experience as a player under his belt, knows what is needed from his players to progress up the table this time around. His disdain for a perceived lack of commitment among some of his players at the latter end of last season was well publicised and so followed a summer clear-out with the Italian desperate to create a work ethic similar to his own if last season’s debacle is to be avoided. Many believe the biggest challenge facing Di Canio in his first full season in charge is the conundrum that is Stephane Sességnon. Undoubtedly talented, the Beninese playmaker has the ability to unlock any defence on his day such is his quick turn of pace and eye for goal. 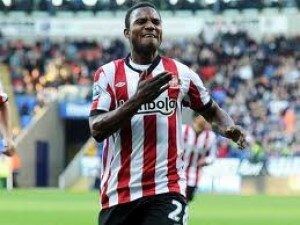 However, it is consistency that has proved to be Sességnon’s biggest problem since his move from PSG in January 2011. A paltry return of just 7 goals last season was quite disappointing for a player with such obvious ability and with more pace and power being added to the squad this summer in the form of Emanuele Giaccherini and Jozy Altidore, Sességnon will be under pressure to keep his place if his inconsistency continues. Man of the Match displays in crucial encounters with Newcastle and Everton towards the end of last season need to be repeated with more frequency this season if Sunderland are to avoid another battle to beat the drop. 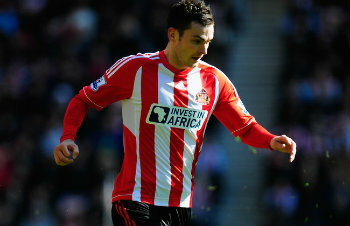 Sunderland’s season may narrow down to whether or not their attacking players play with any kind of consistency. There is undoubted talent in forward areas with the aforementioned trio of Sességnon, Altidore and Giaccherini along with wingers Adam Johnson (pictured below), Sebastian Larsson and the potent Steven Fletcher up front. Logic suggests that, on paper, this attack should guarantee safety at the very least but if these players are not firing like on so many occasions last season, there is a worry that Sunderland may not be able to keep enough clean sheets at the other end. Star goalkeeper Simon Mignolet has been sold to Liverpool while an aging defence has yet to be added to. 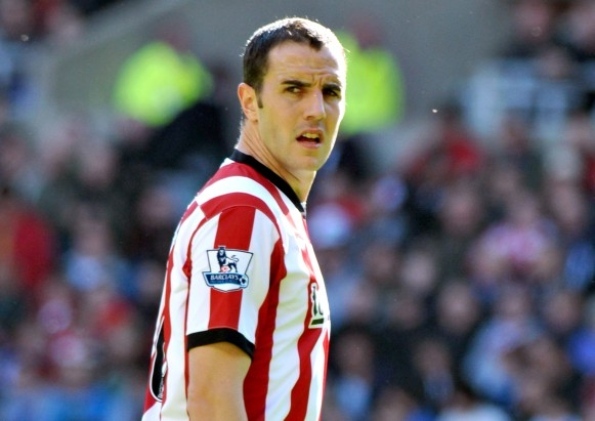 There is no doubt that a fully fit combination of Wes Brown, Lee Cattermole and club captain, John O’Shea (pictured above) would add much needed leadership to Sunderland’s rearguard but without these stalwarts, options down the spine of the team are thin on the ground. With such a shaky looking defence, the reliance could be on an attack that could only muster 41 goals in the whole of last season.